SEO (search engine optimization) is the procedure that makes sure that a website is easily found when someone searches for the content present in it. SEO is the key to success of websites. Without proper SEO, no matter how beautiful the site is that you created and how much effort you have put into it, it can never get the full-time attention of audience it should get. An SEO friendly websites bring traffic to the site efficiently. SEO is an essential component for the success of a website and this is achieved with the help of alt tags and proper keywords. Algorithms are used to make search engine optimization possible. Competitive analysis: This step includes checking the best and most used keywords in contents. Other websites should be monitored for understanding the level of competition you are in. Keyword analysis: A list of most used keywords related to the content base, should be made. Keywords should be finalized in this process. Make sure that the keywords are not misspelled. Goals and objectives: When one starts, his goals and objectives should always be set. At this stage, keep the visitor count, counted and checked if you reached the objective or were you left behind. Use strategic phrases: Use powerful words in your phrases and keywords for best attractions. Apply some guidelines for sure. Test and measure: Check engine ranking and judge the effectiveness of the tips carried out. Whatever the results, it should be recorded. Submit website: Usually, this procedure is not followed, but you should try submitting your site to directories. It helps bring links to the site naturally. This is a fast and effective procedure. Users usually look for relevant pages while visiting a website. WordPress comes up with permalinks for your website and gives you the option even to change them and choose other according to your need. 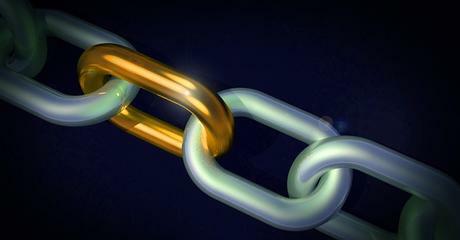 When websites are linked, a significant amount of visitors are expected to visit your website. Not all users appreciate the information you have on your website and it may turn out to be a waste of time if their questions are not answered. Here is where permalinks play a significant role in creating a path with links, so the right audience ends up on the right website. Make sure that the sites you are being linked to are high quality and are credible to avoid spam. Low-quality websites if linked to, end up making things complex. Linking increases participation and contribution. WordPress provides plugins that encourage your website to grow and develop. They guide you to add Meta tags, Meta descriptions, keywords and much more. These plugins enhance the way your website is presented on search engines. While designing your website you surely want to choose the best and most beautiful theme that you can but the best option is choosing one that is optimized for search engines. These themes have speed and code as well. Use Meta title tags and headings appropriately on your website. Use the URL Meta tag correctly and ensure neatness of the structure. Using correct heading tags makes the content SEO- friendly. WordPress makes an addition of headings and tags easy as it gives you headings to be uploaded automatically that are according to your content and which will work best. The best options are WordPress SEO by Yoast plugin which focuses on the keywords, titles and makes it a user-friendly website. SEO friendly images help your images on the website to be optimized and to bring the audience. Media plays an important role in SEO as the right image can attract the right eyeballs towards your website. Merely adding an image is not enough; thus WordPress gives you options to add a title, change a title or to add an expressive description. Images that are efficiently added can be used as leverage to increase the rankings of a website. 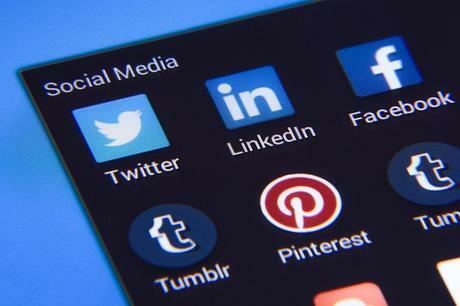 People all around the world use social media as a source of communication, making your content shareable is a clever move because this allows your website to travel to different places which means a bigger audience. This is an add-on to the credibility of your website. As I mentioned the importance of linking earlier this is as crucial as that was. You should not forget to link your content to the other content. It makes searching easy for the user and gives an outstanding appearance of your website. Even though linking makes the visitors experience good, never link irrelevant work as this puts a bad impact on the audience. Linking and using anchor text quite effective. While setting up a website adding in the best content is a necessity. If your aim is to rank higher, then the good quality content has to be uploaded. A high-quality content is supposed to be relevant to the topic, words complete and should be unique without plagiarism. Other than the above given best techniques, there are other ways to boost the rankings of your site, but the ones that WordPress has are the best ones and benefit the websites to the maximum. You should try to keep your posts in the front and attract the amount of audience it deserves.